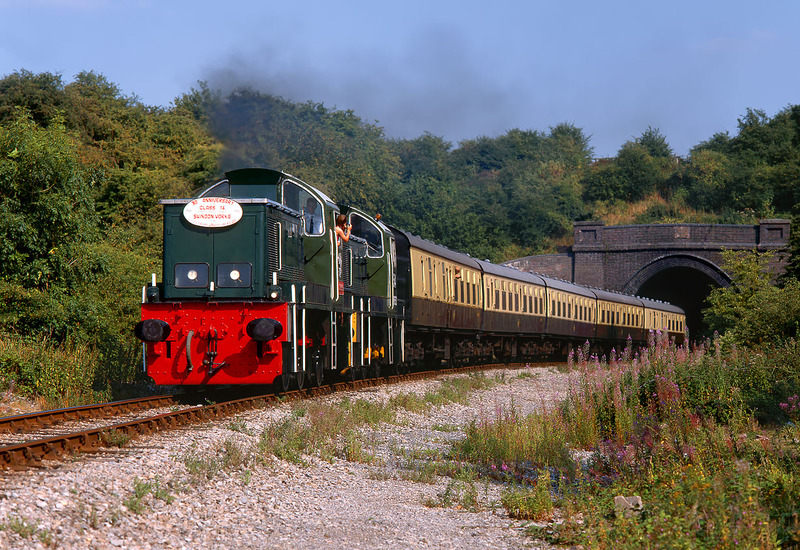 D9539 & D9553 emerge into the sunshine after their traversal of the 693 yard long Greet Tunnel, on the Gloucestershire Warwickshire Railway, during the line's Diesel Week on 11 August 1995. The headboard proudly proclaims: '30th Anniversary of the Class 14. D9537, D9539, D9553. 1965 - 1995. Swindon Works to the Gloucestershire Warwickshire Railway.' The train is the 16:00 Toddington to Far Stanley service.